Savvy Spending: PetSmart: Free Ice Cream for Dogs on 2/14 and free Digital Keepsake for you! PetSmart: Free Ice Cream for Dogs on 2/14 and free Digital Keepsake for you! 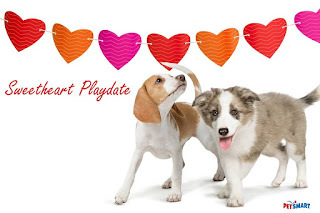 On Valentine's Day, 2/14, from 9 am until 5 pm you can visit your local PetSmart for a FREE digital keepsake and a doggie ice cream for dogs!